You must make many crucial decisions in the design and development of your home. The interior of your house was not exactly as you wanted it when you closed, but you have made changes over the years. You have finally come to the point at which you are ready to have new windows installed. If you live in Florida or any other state that is in the path of seasonal hurricanes, the fact must figure significantly in your decision. You will need to choose between standard glass windows and impact windows. You have only budgeted so much for your windows. And you are no doubt reluctant to pay anything more. Without a doubt, a sound, solid, and aesthetically pleasing set of impact windows will cost more than standard windows. 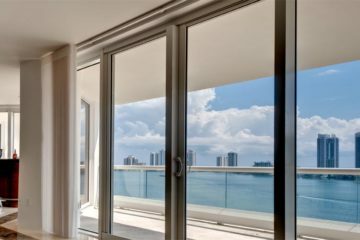 If you live in an area in which hurricanes rarely hit, you may be more willing to risk standard windows. However, this is becoming less and less the case. Storms are becoming ever more powerful and tend to effect larger areas. Impact windows will cost you more, but they may be worth the investment. The best impact windows will keep the elements out; they will hold up under the fierce winds of a hurricane. You will have a better chance of surviving such storms with those windows in place. Given these facts, it may also cost you less in the long-run to purchase impact windows. Standard windows come in all shapes, sizes, and forms. They can even be custom-made to harmonize with both the interior and exterior of your home. There tends to be a wider range of standard windows to choose from. This is one of the most appealing things about them. However, you should not give up so easily on impact windows. More and more companies are selling impact windows that are as diverse in form, size, and appearance as standard windows. Your best move when it comes to weighing this particular factor is to research the matter thoroughly. A number of companies that specialize in impact windows advertise and sell only online. 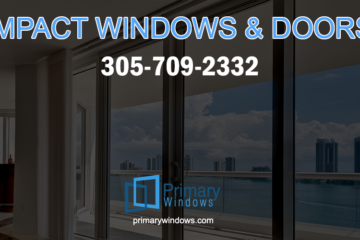 They often offer a great selection of impact windows, and some companies are even willing to install customized windows. This is one of the supreme advantages of buying impact windows. Knowing that you do not have to rush back home to shutter up your house before the arrival of a big storm is a check in favor of impact windows. You cannot know ahead of time when a hurricane will pass through. If you and your family happen to be on vacation in another part of the country or the world, it can be difficult and expensive to get a flight back to make preparations. Having impact windows will preclude you from having to do this. Windows not only keep out outside elements; they also affect the environment and atmosphere of the inside. When considering whether to buy standard or impact windows, you want to evaluate the effect that one or the other will have the interior temperature. You want to keep your house at a temperature that is comfortable for all who live in it. You also want to ensure that you are able to properly ventilate your home—especially during the summers, which are very hot in Florida. Here, standard windows have a distinct advantage. Most standard windows can be easily opened to let in the outside air. Some impact windows have this feature as well. However, high-end standard windows tend to have better features when it comes to this sort of thing. Your windows will also affect the ambient lighting inside your home. They affect the specific hue of the sunlight that beams into your house. This contributes directly to the atmosphere inside of your house. It is much easier to buy standard windows in a tinted form—that is, with the kind of tint that will give you the lighting effect you’re after. And then there is the overall appearance of your home. The windows you have installed will influence it greatly. Whatever vision you have for your home, you must ensure you’ve got the right windows for it. Standard windows may give you a better chance at striking the right atmosphere and overall effect. In addition to protecting your house against the ravages of Mother Nature, impact windows can protect it against another nefarious force: burglars. Impact windows are reinforced; they are made of material and are installed in such a way that keeps all intruders, meteorological or otherwise, out of your house. If you spend a great deal of time travelling for work, you will rest easier knowing that you have windows that are strong enough to repel any attempt to break through them. You cannot always depend on the fact that you live in a relatively good neighborhood. Indeed, this may make your home even more of a target. As part of the various anti-theft protection measures you have put in place, impact windows can be the most effective. They can offer you the kind of protection that is not to be found among even the best standard window brands. As you can see, there is alot to consider. You will have to weight different factors and make some final decision as to what is most important—or at the very least, what you consider to be of greatest priority. The most important thing is to work with a vendor you can rely on and trust. You want to work with a company that has a record and reputation for delivering excellent products and nothing less than world-class customer service. You also want to get the best value for your money. Windows are an investment, but you need not pay exorbitant sums of money to get quality items.